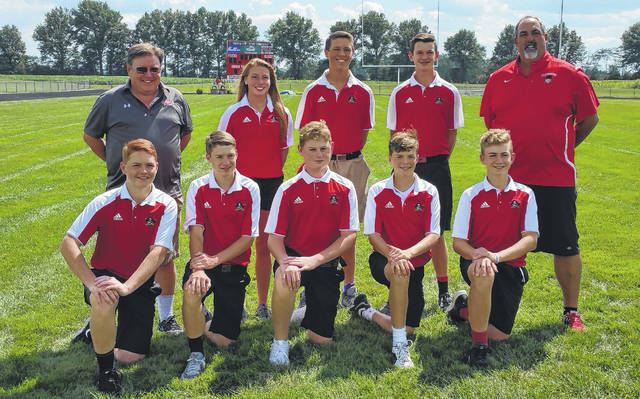 After finishing as the Mid-Ohio Athletic Conference Blue Division runner-up last year with a 7-3 record, Cardington’s golf team is hoping to move up to first behind four returning letterwinners. However, the team will have some big shoes to fill. Graduated are Austin Yake (Blue player of the year, first-team all-league and all-district and district qualifier) and Nadia Kerman (district qualifier, second-team MOAC performer, first-team all-district and four-year letterwinner). The Pirates do have three two-year letterwinners leading the way in juniors Logan Doubikin and Jacob Spires and senior Sage Brannon, who earned district honorable mention last year. Also, sophomore Cayman Spires lettered last year. Danny Vaught, Josh Shook, Christian Hand and Liam Warren also are expected to help contribute to the team. Head coach Troy King noted that in the first of two league tournaments in the new Knox Morrow Athletic Conference, the Pirates finished third behind Mount Gilead and Highland. King looks at those two teams, as well as East Knox, to be the top competition for his squad in the race for a league title this fall. The Cardington golf team is in the above picture.